Thirty members of the highly-fractured Syrian opposition are in Moscow for talks among themselves, as well as with Assad government representatives. The negotiations come almost a year after the last attempt to find a political solution to the crisis. “We believe it would be wrong to miss this opportunity,” Majid Habbo, the secretary of the National Coordination Committee (NCC), one of the Syrian opposition groups taking part in the Moscow talks told RT. There have been skeptical voices as well. Fateh Jamous, leader of the Peaceful Change Path Movement, does not believe Syrian President Bashar Assad has actually been interested in peace talks. “I think that it’s the regime which has not been serious about having a dialogue,” Jamous told RT. Political activist Saleem Khair Bek would have rather seen opposition members gather in Syria. But that’s hardly possible now that “Syria is torn into pieces,” he says. That’s one of the reasons it’s impossible to establish the real number of political prisoners – one of the main issues the opposition wants to discuss with the government. Khair Bek would like to see a human rights body set up in Syria in cooperation with the government to track political prisoners. Joining efforts in tackling the threat coming from the Islamic State extremist group is high on the Moscow talks’ agenda. One of the delegates, Ahikar Rashid of the ‘Mother Syria’ youth organization, is from the city of Qamishli near the border with Iraq, just 15km from the territories controlled by Islamic State (IS, formerly ISIS) extremists. He says oil revenues help the group wriggle into people’s favor. The talks which started on Monday are going to be held through Thursday. The first two days were devoted purely to talks among the opposition. On Wednesday, government representatives sat down at the negotiations table. A major opposition group, the Syrian National Coalition, refused to attend, explaining the move by saying it would prefer a UN-mediated meeting on a neutral territory. 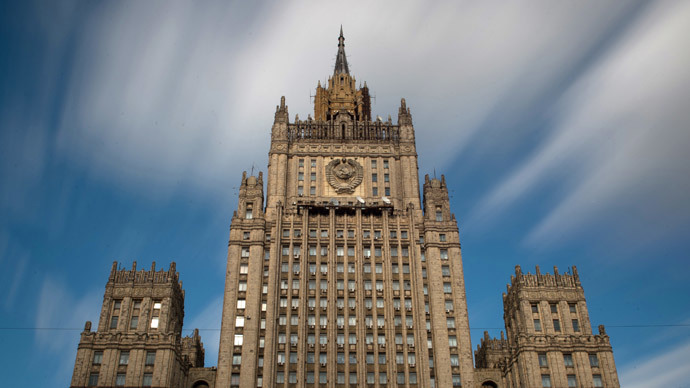 “Establishing personal contact” between future talks’ participants is the main goal of the current meetings in Moscow, according to Foreign Minister Sergey Lavrov. The last round of UN-mediated talks on political solution to the Syrian conflict - also known as Geneva II - was last held in Switzerland in February, 2014. It passed in a highly confrontational manner and brought no breakthrough.